Retells the adventures of three little pigs who leave home to seek their fortune and how they deal with the big bad wolf. Suggested level: junior, primary. 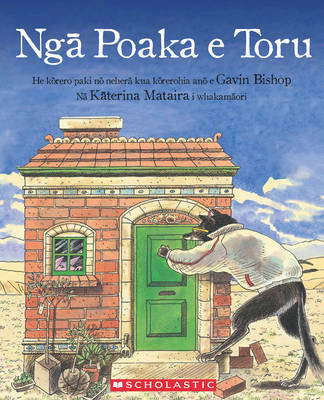 Gavin Bishop is one of New Zealand's most well-known children's book authors and illustrators. He has published over 40 books translated into nine languages, winning NZ Children's Picture Book of the Year and NZ Children's Book of the Year three times each, and he has appeared as a teacher and guest speaker at many international forums. The Storylines Gavin Bishop Award was established in 2009 in recognition of his contribution to children's literature. In 2013 Gavin was named an Officer of the New Zealand Order of Merit (ONZM) for services to children's literature.